Mason jars are not only for preserving food. Oh no, they are in fact super trendy as home decor and often used as glasses for beverages. So much so that you can even buy mason jars with a handle just for that purpose. With a quick search on Pinterest you'll be bombarded with crafty bell jar crafts some beautiful and some questionable. We compiled 20 of the cutest mason jar crafts that we could find. There are some really nice finds here. 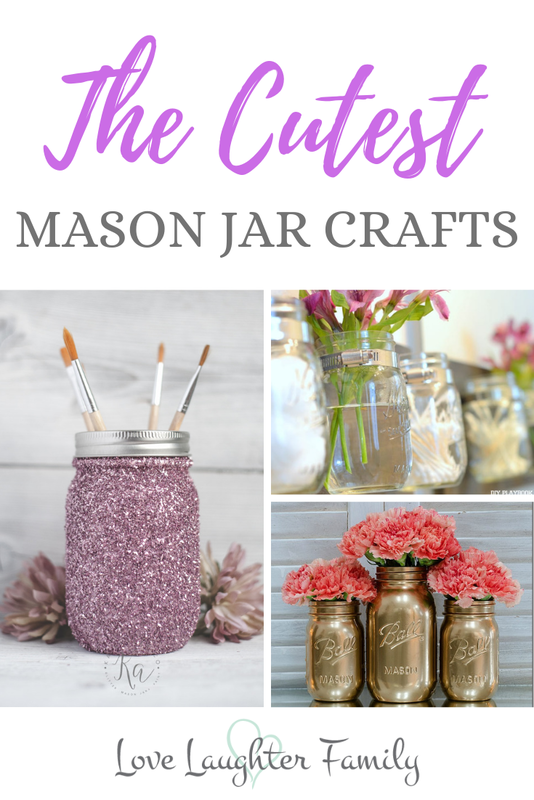 i hope you find some inspiration for your next mason jar craft. I particularly love number 4, 6, 12 and 20. Another hanging mason jar but this time its filled with LED lights for an amazing effect. Learn how to make them from scratch here at allthingsheartandhome.com. Make this lovely wall mounted mason jar organiser. I love how they've added fresh flowers. Make them for yourself here thediyplaybook.com. Freshen up your bathroom with a whole new set of mason jars for storage with this lovely distressed look. Including a hand soap dispenser. Make the set for yourself at masonjarcraftslove.com. Make this magical hanging mason jar with a mason jar and old wire hangers. Make it here at apieceofrainbow.com. Did you know you can make soap dispensers with your mason jar. You can, and you can make them look beautiful. These come with a printable label. Make yours here at everydaydishes.com. I just love the distressed look and these mason jar vases are just adorable. Make you're here at itallstartedwithpaint.com. Take a look at this mason jar vanity light. Its awsome, so clever. Find out how she made it here blesserhouse.com. This is more than just a pretty vase, it's filled with scented beads! A great idea to keep your home smelly lovely and looking smart. Find out how they do it here eighteen25.com. Another chance to make your home smell great with these DIY mason jar herb pressed candles. Make yours at gardentherapy.ca. Tidy up that desk with this fun mason jar desk organiser. Make it here thecountrychiccottage.net. Never worry about which box of tissues to buy to suit your home, no you just need to make your favorite mason jar and transform it into a tissue dispenser. Make it here quartoknows.com. Store your stuff in style and create a tidy looking rustic mason jar storage shelf to store odd bits in or decor with flowers. Make it here tuffshed.com. Another clever light mason jar idea. They use larger than normal mason jars to make this lamp. Don't they look lovely though. Make it here diyprojects.ideas2live4.com. Save up your pennies in style wit this attractive looking mason jar money box. Make your set here lilblueboo.com. Let there be light, create some nice looking oil burners here at lifeisaparty.ca. These really caught my eye when I was looking for some mason jar candle ideas. See how they were made here at masonjarcraftsblog.com. 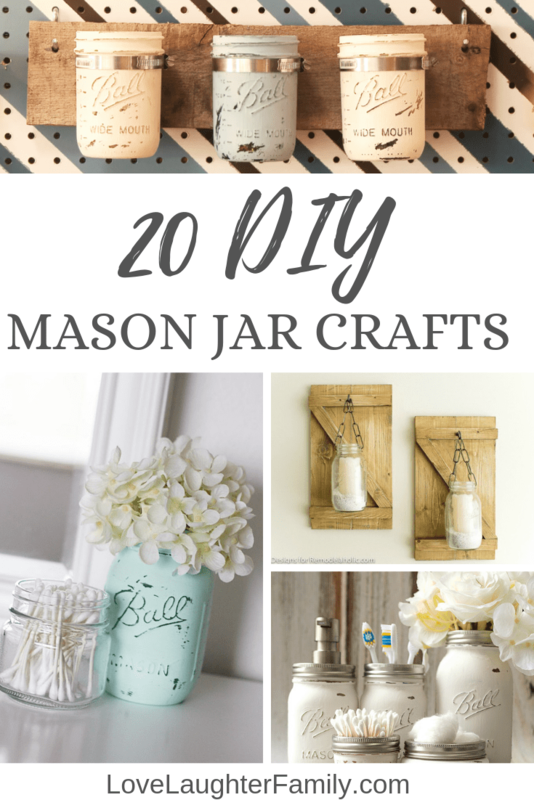 I hope you liked our 20 Cutest Mason Jar Craft Ideas and found something inspiring. Remember you can click through on each one to make it for yourself.